@ZarraJae, really? They're doing a re-run on KBS? OMGosh! What a timing! Our KBS channel has been removed from our cable. I don't know how that happened! Huhuhuhu...... I'm so envious! @djappleblush‌ So sorry to hear that. You'll probably get greener then ( ) cos Gaksital is replacing Nice Guy in its encore drama on Monday! So I actually get to see JSY in two dramas on cable. \:D/ .
) cos Gaksital is replacing Nice Guy in its encore drama on Monday! So I actually get to see JSY in two dramas on cable. \:D/ . I know a lot of us has already moved on to another drama and another ship, but there's just one facebook fan page that I'm amazed about: https://www.facebook.com/groups/1427356534194531/?ref=bookmarks. My own edit! LOL. Forgive the amateur vibe it exudes. 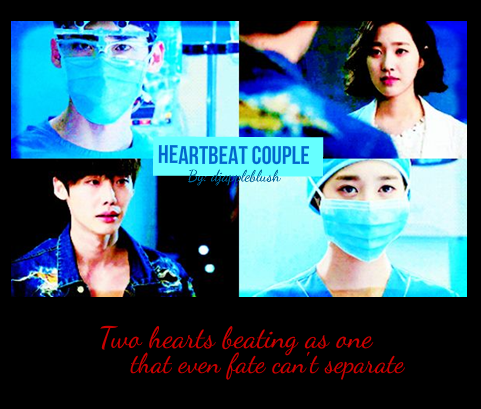 when I start watching dr. stranger, I have no idea who is the heroin.. but i ship park hoon with jae hee.. and after this drama end, I feel satisfied with the ending because they can be together after all the obstacle that they have to face.. happy ending for my OTP..
i m watching this show but its really confusing and heartless show specially PH And SJH love story and i m in 12 epi ..
i love their way of huging..
hay do u have eng sub bts of this show...?? ​Yes, we have them now. Just type "doctor stranger eng sub" on youtube.